Alaskan Halibut has a firm, flaky meat with a delicate flavor and is prized as one of the best tasting whitefish available. 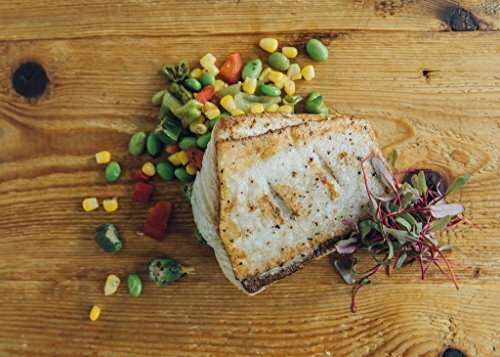 Alaska Halibut, also known as the Pacific Halibut, is a popular fish that has great cooking versatility. Now you can buy fresh Alaska Halibut and enjoy the fine taste of Pacific Halibut. Skinless, Boneless! 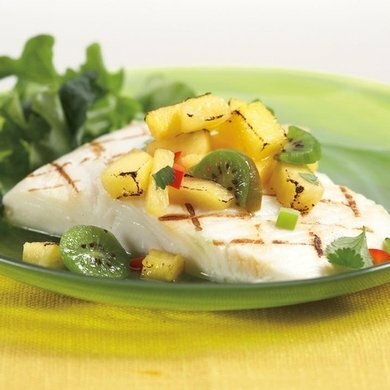 With its firm, flaky texture and delicate flavor, Alaska Halibut has earned its reputation as the world's premium whitefish. Sweet flavor with a pure, snow-white flesh. 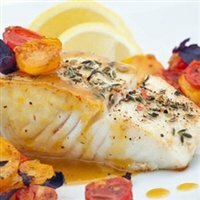 Skinless, Boneless With its firm, flaky texture and delicate flavor, Alaska Halibut has earned its reputation as the world's premium whitefish. Sweet flavor with a pure, snow-white flesh. Halibut is also a naturally lean fish, a good source of potassium and magnesium, and low in overall calories, fat and sodium. Packaged in 6-8oz portions. Availability: Fresh from March through mid-November and frozen year-round All of our orders ship overnight, so you can enjoy your seafood product the very next day. The cutoff for next-day orders is 3pm EST. We only ship Monday through Thursday, so if you have an event over the weekend or on a Monday, make sure to plan accordingly! Specifications: Size:3 LB Location: Alaska Cook Type: Bake, Grill, Poach, Roast Cooking Instructions: Halibut is a mild-flavored fish that maintains its shape, so it's suitable for all types of cooking methods and ethnic applications. Known as the "steak of seafood."